Panaya Success Center What does the Requirement Status mean? Panaya allows you to define the Status of your Requirements. Set the Requirements to Development status once you have finished defining the Implementation efforts and calculating the Impact and Risk for Code Changes. You can define alternative Sub Statuses for you Requirements. Click here to learn more. 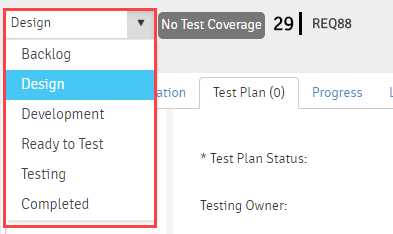 How to set the Requirement Status?